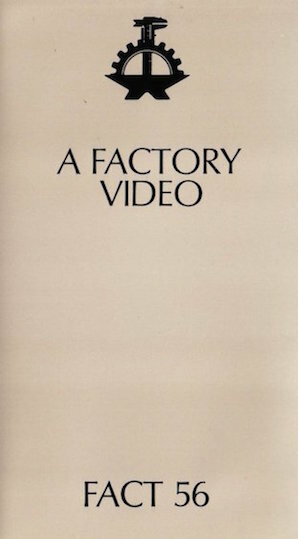 Official Factory Records video released on Betamax and VHS in August 1982. Design by Tony Wilson and Malcolm Whitehead. A first edition was issued in Garrod and Lofthouse flip-top (cardstock) packaging. This edition also mistakenly lists The Fall 'Totally Wired' as being included. Early editions are "FACT 56"; later editions are "IKON F.C.L. presents" and do not include the (Finnish) intro to the Durutti Column track, nor the "clapping" sequence at the end of the tape, and overall, the live tracks have been shortened slightly.